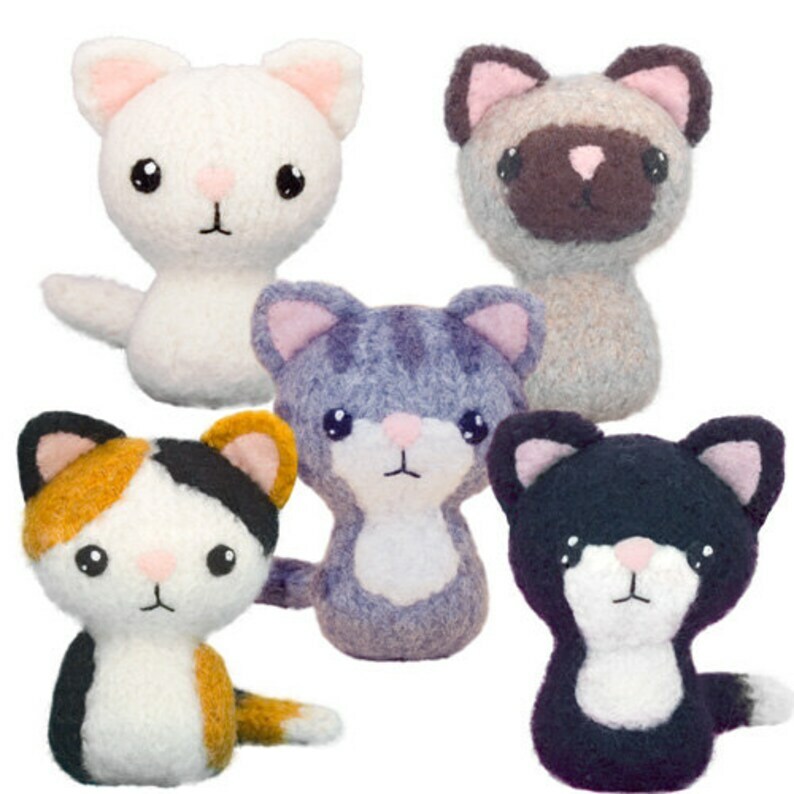 Knit and felt a litter of kitties! Includes a tuxedo, tabby, calico, siamese and solid color kitty. Easy-to-follow full-color pattern includes diagrams and detailed instructions to felt and finish one project in under two hours. 3-1/2 to 4 inches tall.